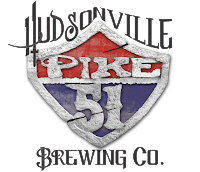 Our net stop was Pike 51 also in Hudsonville. It is just down the road so even though the ride was short, we still got some dancing in on the way! Pike 51 also donated some items for our group. While in the bus we raffled off the items so that each couple would leave with one item. Some of the items that we raffled off were pint glasses, growlers, gift certificates to the breweries, and beer cozies. On our way to each new brewery we raffled off something from that brewery so we had one or two couples walking in with a growler for each brewery. Definitely a great plan on the breweries parts who donated the growlers! 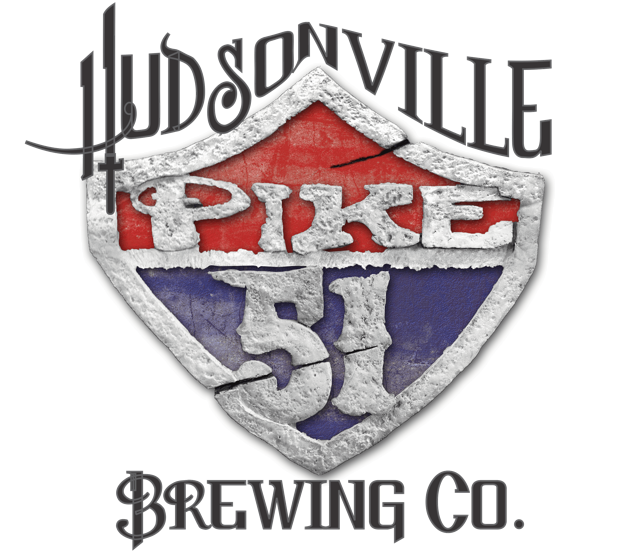 Pike 51 is also part of the Hudsonville winery so you could also do some wine tasting. Here we were given a tour of their brewery which was very interesting. They also were able to accommodate our rowdy crowd around tables and the bar. Unlike White Flame, Pike 51 does have a menu although it is limited. I have been in there early in the evenings and I have seen families eating there, but have never tried the food. I did like the beer, however. There was one in particular that I really liked. It is called Temporary Saint, a Bourbon Barrel Belgian Quad. Try it! Our third stop was more of a hike so we all passed the time with singing and dancing! Perrin Brewing in Comstock Park was our third destination. They did not donate anything for our group, but we were able to reserve enough seating so we could all sit together and have dinner. They did a good job of accommodating all of us although maybe a few more servers assigned to our large group would have helped to speed things along. They have a more substantial menu which is why we ate here. 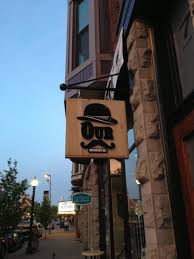 I have seen rave reviews about their onion rings and they even have kids' meals! After bellies were full we headed to our final stop which was Crankers in Cutlerville. 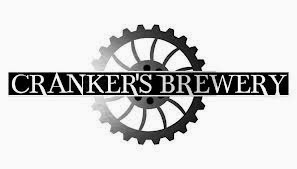 They just recently added the brewery which started out in Big Rapids so they were happy to donate things to our group and offer discounts on the food! So yes, Crankers also has food and in fact I have been to lunch there a few times (for research purposes) and Ryan and I have brought the kids to eat there. It was a good place to end our tour because it was so close to our homes, but not so good because it wasn't late enough. In that I mean that there were still families eating in the restaurant and we were pretty loud when we breezed through the doors! In planning our tour we made sure to call ahead to each brewery and let them know around the time we would be showing up. We started out early so as to avoid the weekend crowds and we stuck to a time-line so we could have a reservation to eat and be home at a certain time. Of course there were a ton of other breweries in our area we could have visited, but I think four was a great number. It wasn't too many so that everyone was burnt out by the end. 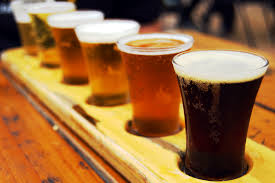 We chose the breweries based on proximity, how accommodating they could be, and our timing for dinner. Some breweries were more open then others to have us so we were excited to visit them. One brewery that we didn't make it to, but was fantastic in working with so we will definitely go there on our next tour was Our Brewing Company in Holland. Not only was the staff top notch when I stopped in, but when we talked with the director of marketing she was the one asking me what they could do for us! It made me sad that they were in the wrong direction, so if you get a chance go out and visit them! It is a super nice place right in downtown Holland. They have a lot of events going on daily and just seem fun!